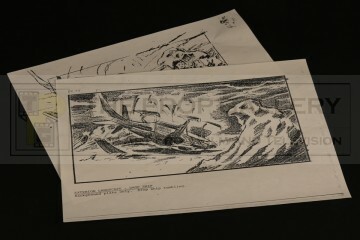 A pair of original storyboards used in the production of Aliens, the second instalment in the popular Alien film franchise directed by James Cameron. 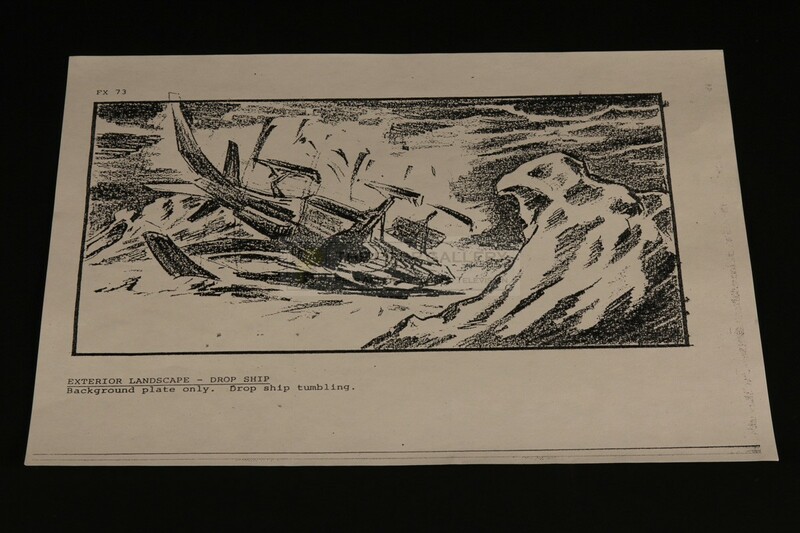 These storyboards are production issued copies of the original renderings and depict the Dropship crash sequence, one being for the miniature effects background plate of the craft crashing and the other showing this plate combined with the live action footage using rear projection, each storyboard features the number 'FX73' and a description of the action taking place below. 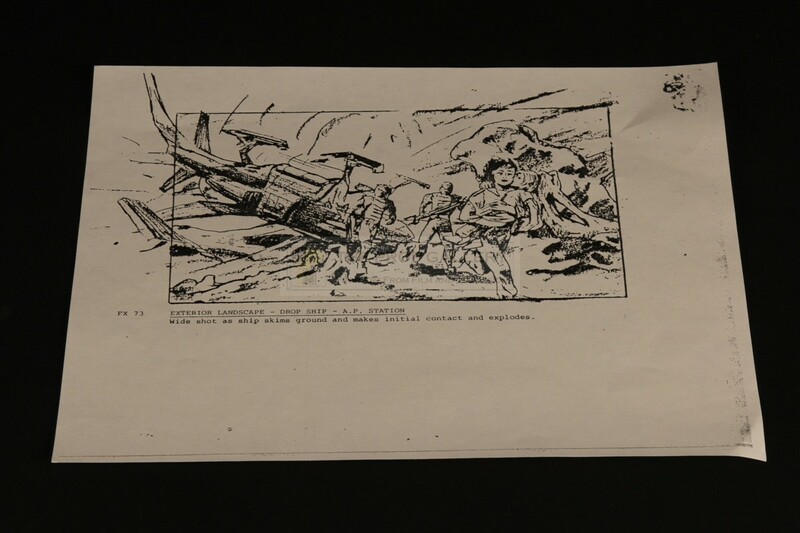 The storyboards measure approximately 11" x 8.5" and remain in excellent production used condition with minimal wear, exceptionally fine. 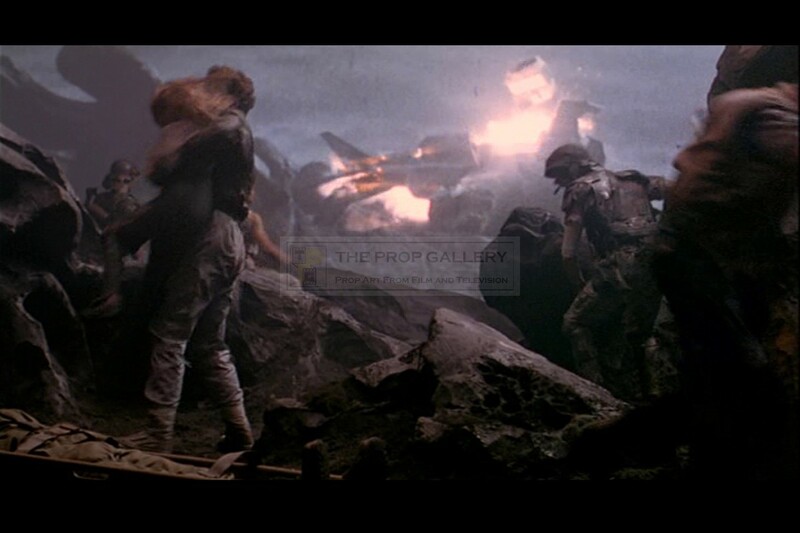 A fine example of original production material from this Academy Award winning sequel.